>Read the highly favorable review in the Summer 2014 Journalism and Mass Communication Quarterly. Journalism is in crisis. The rise of the internet through social media and citizen journalism and the financial crisis of 2008 have taken their toll. Thousands of reporters and editors have been laid off; nightly news on the major networks is losing close to one million viewers a year; newspapers have seen declining ad revenues and circulation figures cut in half; and the old business model for newspapers based on advertising and subscriptions appears to be collapsing. Filling the void is commentary, punditry, and even bigotry, both from the Left and the Right. It may have an audience, but it’s not journalism in the professional sense: a commitment to objectivity and a separation of news and opinion. 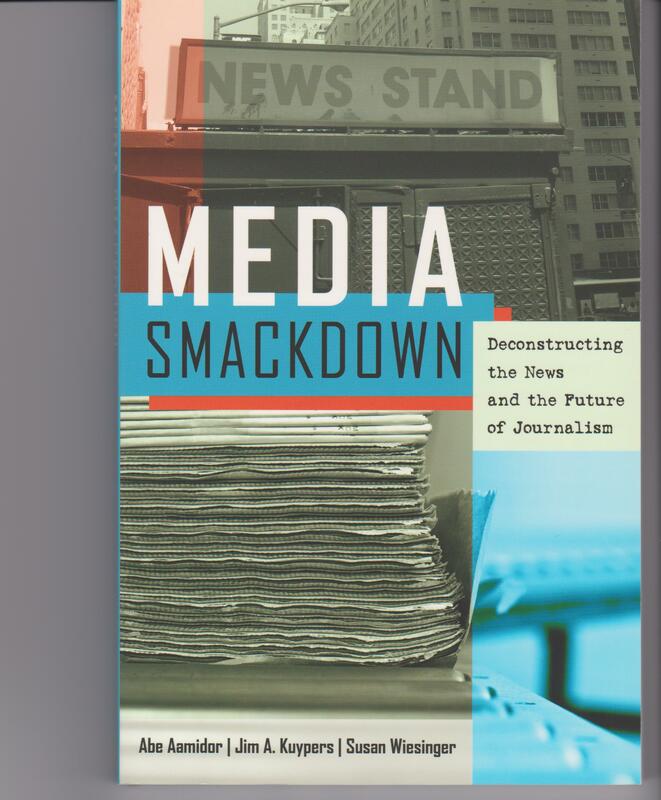 At this important juncture in the evolution of journalism, Media Smackdown takes a close look at the history of the news media in America in order to address the historical, legal, economic, theoretical, and political issues that affect the practice as well as the changing face and future of journalism. Read the full publisher’s statement and professional endorsements here.